Looking for more natural ways to soften your clothing naturally? 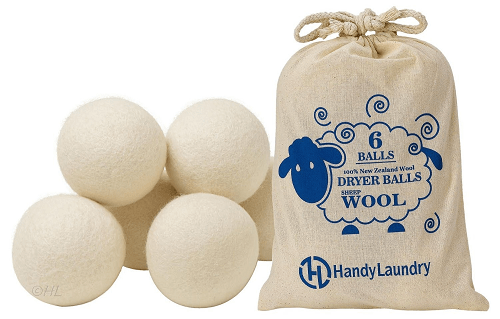 Amazon is offering this Wool Dryer Balls pack of 6! Thes are great to use with essential oils too. Make sure to check out all of our information about using essential oils too – we use these every time we do laundry with essential oils (Lemon & Purification Oil are my favorites to use or Lemongrass).